Join us for this classic small-group tour in the ancient historical commercial and cultural centre of Venice: the St. Mark district and Rialto area. 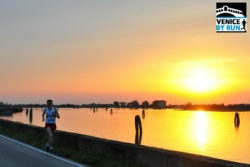 Run through important touristic places and international icons like St. Mark Square with its Basilica and The Doge’s Palace, the Rialto bridge and its market, the lively area of Santa Margherita, the Guggenheim foundation, the Accademia Gallery and many others. You will have a complete overview of the most famous spots in Venice on which your guide will tell you anecdotes and supply you with useful information on the transition places. The tour will start from the central Campo San Bortolomio, at the foot of the Rialto bridge, pass in front of the ancient city Hospital and cross St. Mark Square to see it in its quietest daytime. 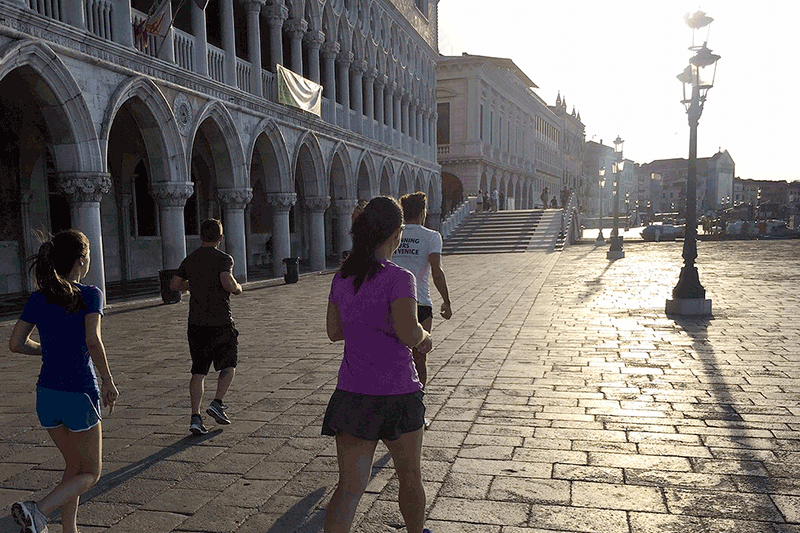 Cross the Accademia Bridge and reach the church of Santa Maria della Salute, run on the Zattere area and reache the Uni’s area of St. Margherita and go back to Rialto running through the beautiful San Polo district to end nearby the daily Rialto Market. 8 persons* 5:30 min/km 6.5 km 35 euros p.p. *NB This tour is operating only in summertime and requires a minimum of 3 participants to confirm. If it does not meet the minimum we will notify you 2 days before the tour and we will refund you straight away of any payment done.